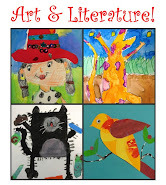 Line drawings are a super easy way to start off your art curriculum. I usually do some type of line drawing with all my grade levels at the beginning of the year. Not only is the set-up simple and there is virtually no clean-up, but it gives me a chance to get to get to know my students and their art interest. The projects may look simple, but in fact, there is a lot going on! 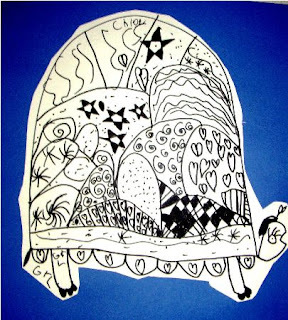 These turtle drawings develop fine motor skills: drawing with a marker, cutting and pasting, establish a sense of freedom with art (mistakes are not only fine; they make great art!) and finally they beautify your classroom during these first few weeks of school which makes parents happy and students proud. What more do you need? 1. Draw a large upside down letter "U"
2. Connect the bottom with a slightly curved line. Then, make another line just above the bottom line. 3. For the belly of the turtle, create a scalloped edge by drawing little upside down bumps along the bottom line. 4. Add two letter "U's" for the feet. 5. Add a sideways "triangle" for the tail. 6. Add a head by putting your marker on the very bottom corner of the shell and drawing a large bubble shape. Make sure to keep the neck thin and the head big and round. If you want, you can add a mouth. 7. 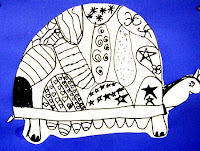 Fill in the turtle shell with lines, connecting the curved lines to make a patchwork of shells. 8. Now, fill in all the small sections in the shell with different patterns. Use hearts, zig-zags, bubbles, spirals, checkerboards, wavy lines, etc. Be creative! Now, here's a tip: When making a pattern of lines, make sure to connect the lines to the outside of the shape. Don't stop short! These sweet turtles were done by Kinders! Needless to say, they were very proud. One of the secrets to making the project appear easy, is to draw lots of pattern samples on the board. Ask the children what a line is and then draw some. Point out patterns on classmate's shirts, on the wall, etc. Get interactive! I made one of these last night. Thank you very much for the drawing instructions. I am not very good at drawing and your instructions were perfect! I love my turtle. I love this idea! Can't wait to try it.... thanks for sharing this!!! I love your website. 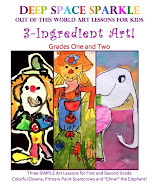 It's very helpful to me since I am a new elementary art teacher and graduated from college with only secondary internship experience. I also use drawing lines as a great way start off the year for younger grades. Our curriculum is based upon the elements and principles of design and "line" is the first month! Gotta love the "line"! Good luck with your site!